With all of this snow falling here in the Northeast I’ve had several of my relatives checking in with me to see how we’re holding up. Are you guys buried in snow? Are you staying warm? Do you have enough food? Do we have enough food? Ha! In my house we always have enough food. These snow storms have generally caused a decrease in productivity here in Boston as public transit has been shut down for full days more than once, businesses have had to close, and schools have racked up snow days to make up in the warm months of summer. For me, it has been a very productive time. There is something about being stuck inside with white flakes falling down that makes you get down to business (or makes you start to go crazy!) For me that has meant making significant progress on a quilt I started probably fifteen years ago (no joke) and baking and cooking many of the delicious recipes I’ve been wanting to make. It has also meant being continually well-stocked on all types of food – breakfast, dinner, dessert. As I mentioned in my last post I’ve made Cincinnati Chili, Cinnamon Swirl Bread, and Homemade Hamburger Buns. 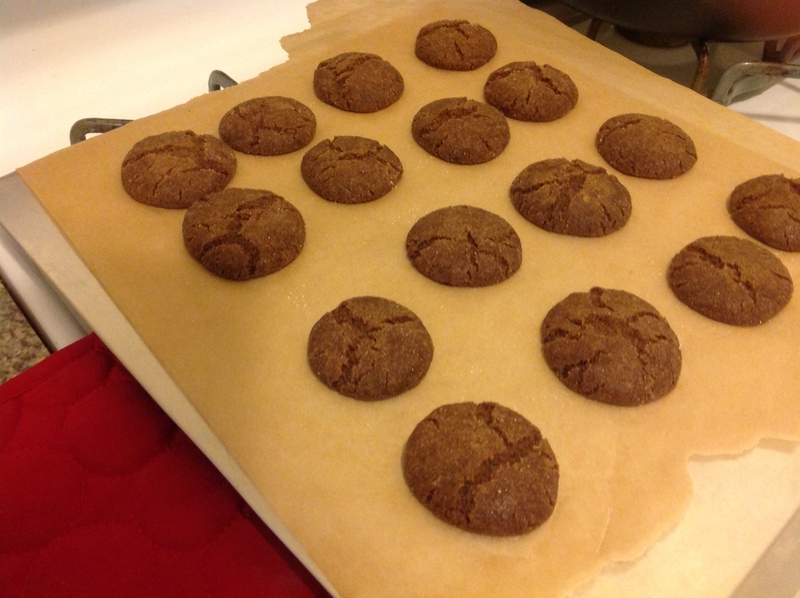 During storm #3 I made bacon fat gingersnaps. This recipe was a combination of looking-for-an-excuse-to-make-cookies-of-any-kind and wanting-to-use-up-the-bacon-grease-in-the-fridge. (I’ve told you before about my obsession with using things up). I found it in the New York Times cooking section and had been eying it for what felt like forever. So I made a small batch. The cookies turned out savory, ginger-spicy, and salty – a little too salty, we decided after a few cookies (and I even reduced the salt it called for!) Always looking to improve rather than waste, I decided if they were too salty then they needed more sweet to balance. 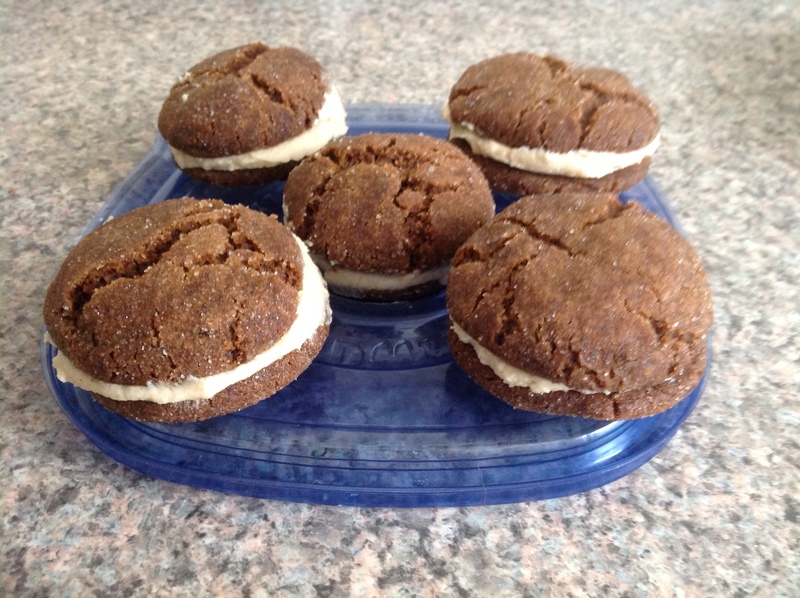 So I sandwiched them together with a maple butter cream frosting. They were better… I mean I ate them! Next time we’ll try again with less salt. 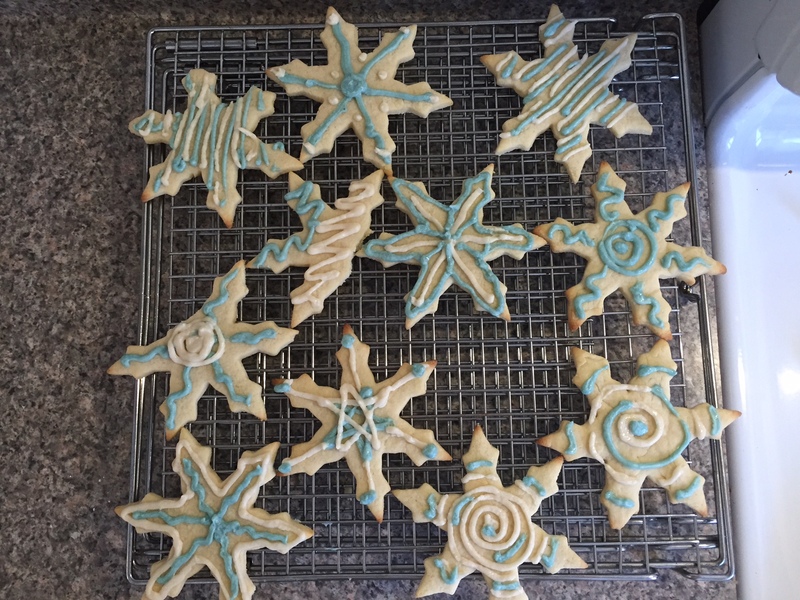 Post storm #4 I opted for some snowflake sugar cookies. To be honest I felt quite sugared-out for the moment thanks to a delicious Valentine’s day chocolate mousse my husband made for me and the salted caramels he bought me, but I had an ulterior motive. After six official snow days (plus the weekends) I had still not gathered the courage to meet my neighbors across the hall, something I’d been telling myself to do for weeks. 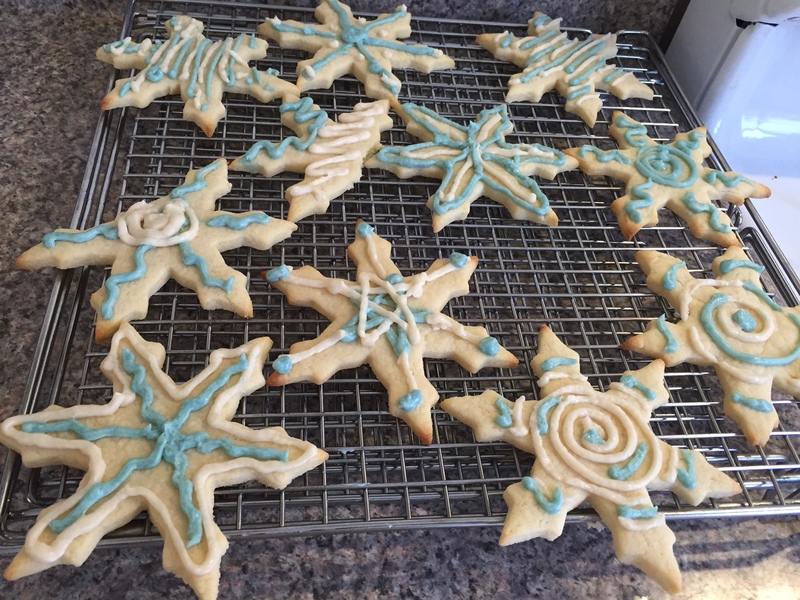 With encouragement from others, I decided making snow-themed cookies was a perfect way to introduce myself and break the ice (haha, pun totally not intended). I baked a small batch of cookies, cooled and frosted them (barely making it by using up the last crumbs of powdered sugar) and knocked on their door, my heart beating. No answer. Unfortunately, my great cookie act of kindness mission did not succeed. I made Sam take the cookies to work today because I know they would enjoy them there, having made the cookies with the intention of not eating them myself. I will have to try the neighbors another time. This recipe is my favorite sugar cookie recipe lately. It makes soft, lightly-colored cookies that roll out beautifully. 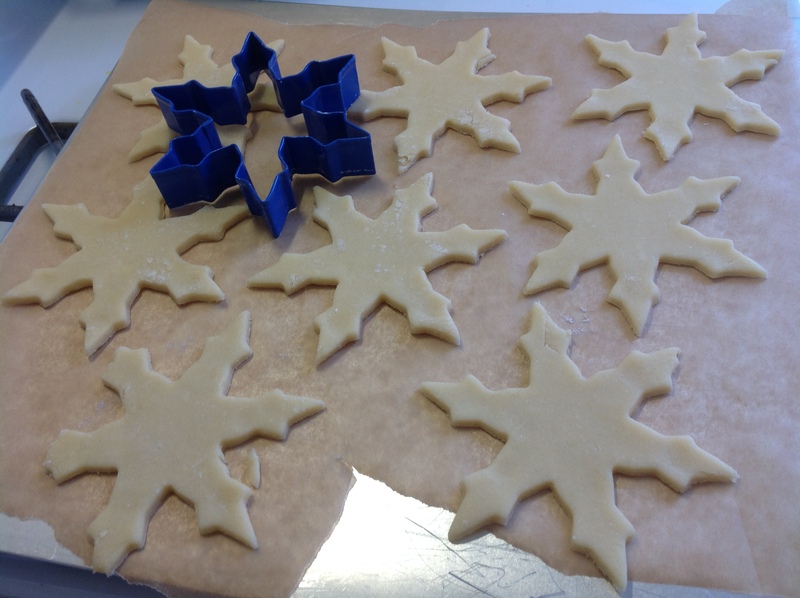 Be warned that if you use a snowflake cookie cutter, they can be a little fragile with the points. I hope you make some cookies for your neighbors or at least make friends with them. We never know when we might need a friend nearby. In a large mixing bowl beat the butter with an electric mixer for 30 seconds. Add granulated sugar, baking powder, and salt and beat for a minute or two until light and fluffy, scraping the sides every now and then. Add the egg, milk and vanilla and beat to incorporate. 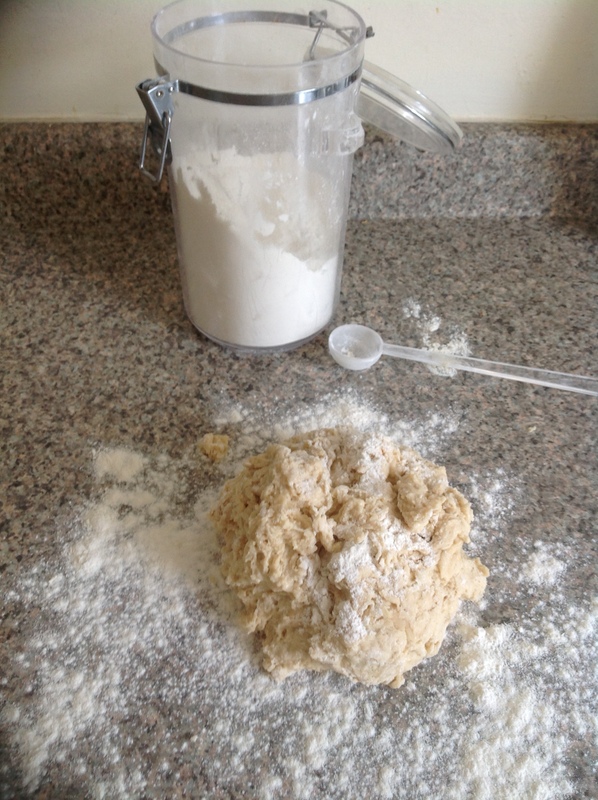 Add flour and beat or fold in with a spatula. 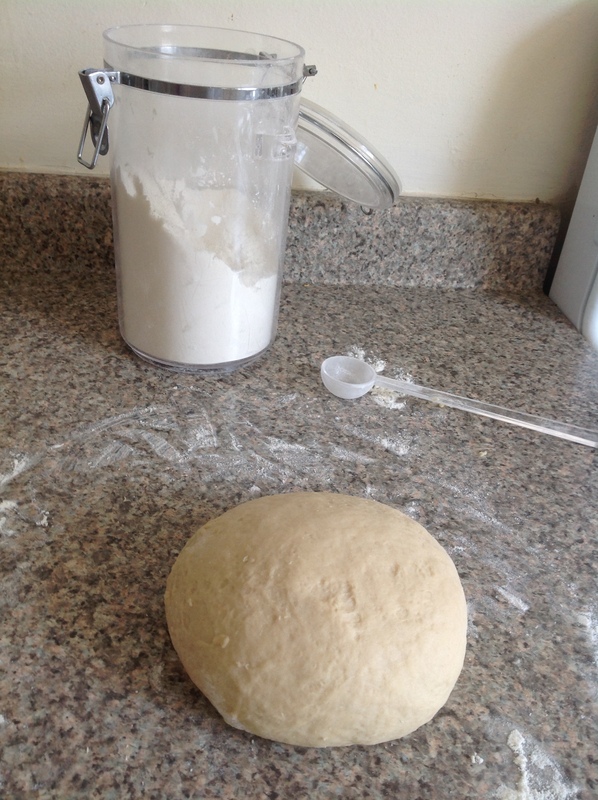 If the dough is too soft or sticky, divide it in half, wrap in plastic and refrigerate for at least 30 minutes. 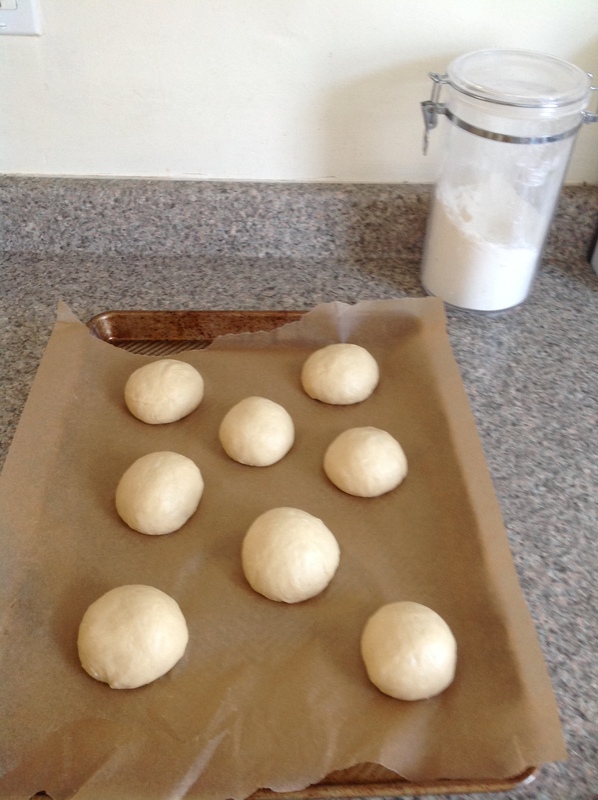 Otherwise continue by rolling out your cookies on a floured surface, making sure to keep the thickness consistent. Transfer cookies to a parchment lined sheet and bake at 375 for 8-10 minutes, depending on softness of cookies you desire and the thickness you’ve rolled. They should be lightly colored and slightly soft to the touch. Cool and frost with your favorite homemade frosting. Share with a neighbor or a friend. Stay warm! I’m not even sure what day it is anymore. Tuesday? Saturday? Snow day? My long weeks have turned into long weekends and I’m beginning to lose track of what the real world is like. Is anyone else feeling that way with all this snow? Isolated? Stuck in a time capsule? This kind of weather can bring out the best and the worst in people. Here in Boston the T has been shut down, traffic has been backed up for hours, the roads made narrower by heaping snow piles and pedestrians avoiding un-plowed sidewalks. All this snow can make a person grumpy. And let’s face it, Boston isn’t known to be the friendliest city. We could go without OR I could make them. I mean, how hard could it be? So I looked up a few different recipes online, considered my ingredients and went to work. And actually it’s really not that hard. It’s like baking any other loaf of bread in that it takes time and patience and a little bit of technique. 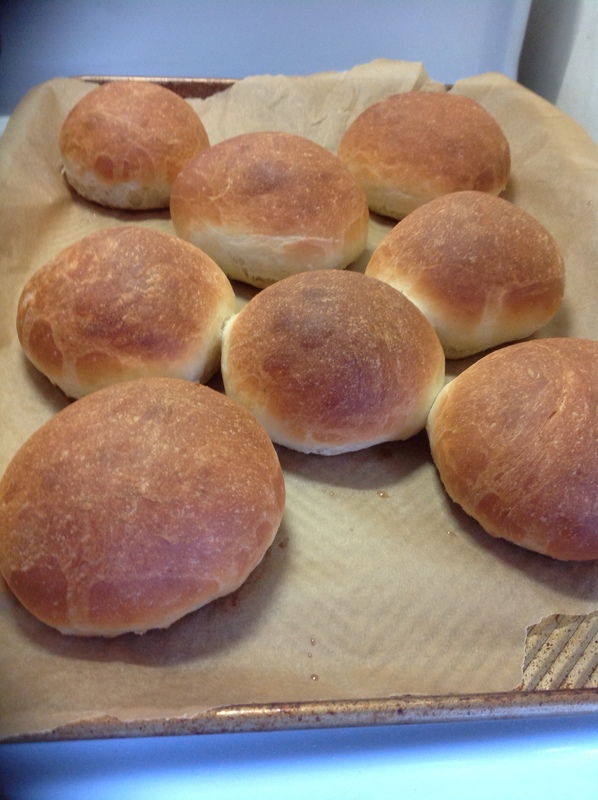 I used this recipe (which provides tips and technique help as well) and within a few hours we had the delicious smell of homemade bread, soft, warm buns and a salty, savory pork to pile on top of them. The buns that we didn’t eat that night, we put in the freezer to keep them longer. A few weeks later we are down to only one! 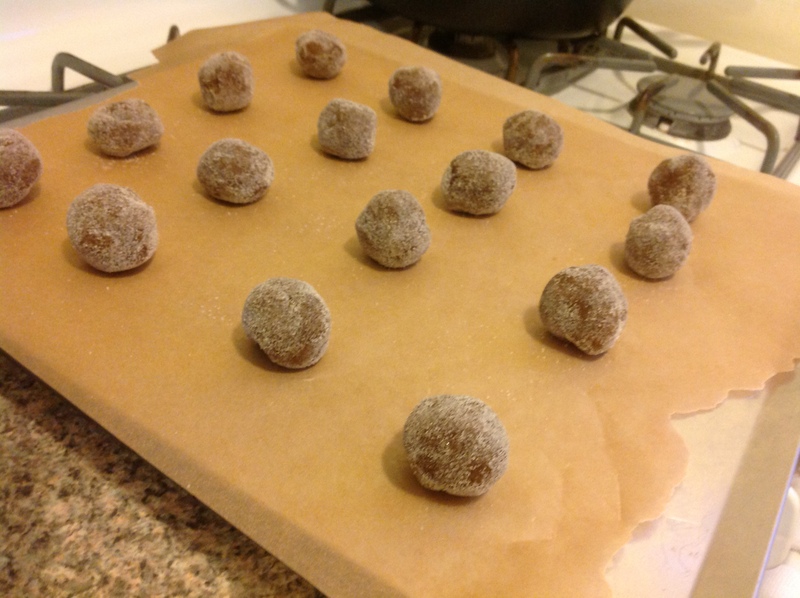 If you’re home on a snow day and looking for something warm and delicious to make, give these a try. You’ll thank yourself later. It is my mom who taught me to love color. Thanks to her, bright splashes of blues, greens, purples, and oranges or swirls and stripes of different hues often catch my attention. Mom is a quilter and the quilts she has made over the years range from beautiful seasonal-inspired designs to teddy bears and rainbows (no really – my sister’s quilt was a rainbow log cabin design and mine was based on fabric with teddy bears on it). Besides that Mom has been a teacher for over twenty years. The colorful pins, earrings, and necklaces that she wore to school when I was growing up, seemingly to entertain her young students, were really because she enjoyed the colorful accessories herself. Mom also wore her fair share of, ahem, we’ll call them creative teacher sweaters, many of which probably inspired the ugly Christmas sweater parties people have today (sorry Mom). Mom taught by example and the colors she wore and the fabric she spun into quilts taught me all I needed to know about color. My mom also taught me to never follow a recipe twice. Actually she might have taught me to never follow a recipe. I resisted for years, but now unfortunately I think I’ve picked up on this particular habit. Oh that says 2 tablespoons of sugar. I think it really means eyeball 2 tablespoons or maybe don’t worry about measuring at all and it’ll come out just fine! This explains why sometimes the recipes I give here can be a little bit vague. I can’t promise the accuracy of this one. You can thank my mother. Now when making recipes I am free to experiment (in most cases) and think outside the pages of the recipe. I start my dish based on a few recipes that I’ve researched ahead of time, but often I throw all caution to the wind and add whatever the heck I want. 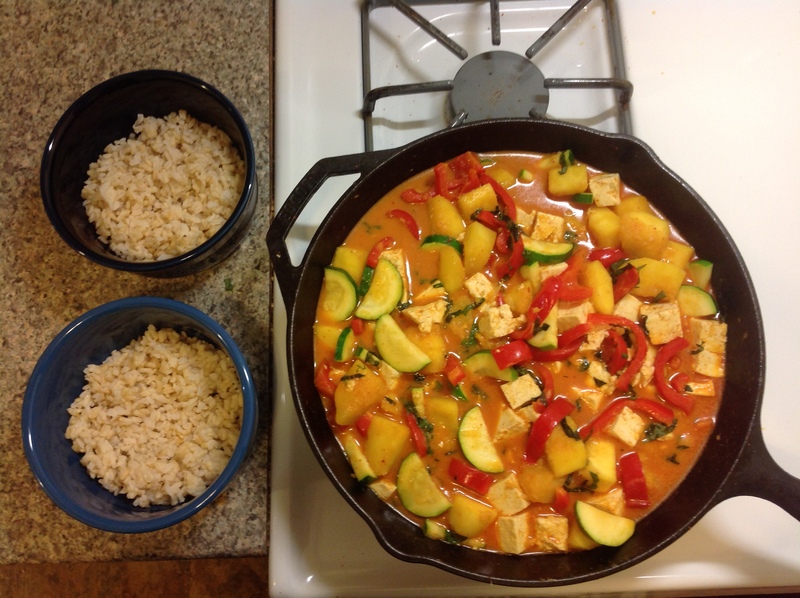 This particular dish was inspired by a meal I enjoyed this weekend at a Thai restaurant. It was also inspired by all this snow! The warm and bright colors will brighten up all that white stuff outside and the smooth creamy coconut milk and curry will take the chill off your cheeks when you come in from the cold. This isn’t the American comfort food of yore, but it will certainly make you quite cozy in this winter weather. Mom also taught me to be grateful (and with all this snow I am reminded of how very grateful I am!). Especially when you are feeling down or bored, remembering all the wonderful things that you have can give you some perspective. (However, I don’t recommend using social media to soothe your sad soul or you will likely find yourself comparing your life to the glamorous snapshots of all your friends and acquaintances. I speak from experience, my friends.) On this snowy day in Boston (wait are those more flakes I see coming down right now?!) I am grateful for so many things, my wonderful mother included. As with many recipes you can certainly substitute and play around with the ingredients. 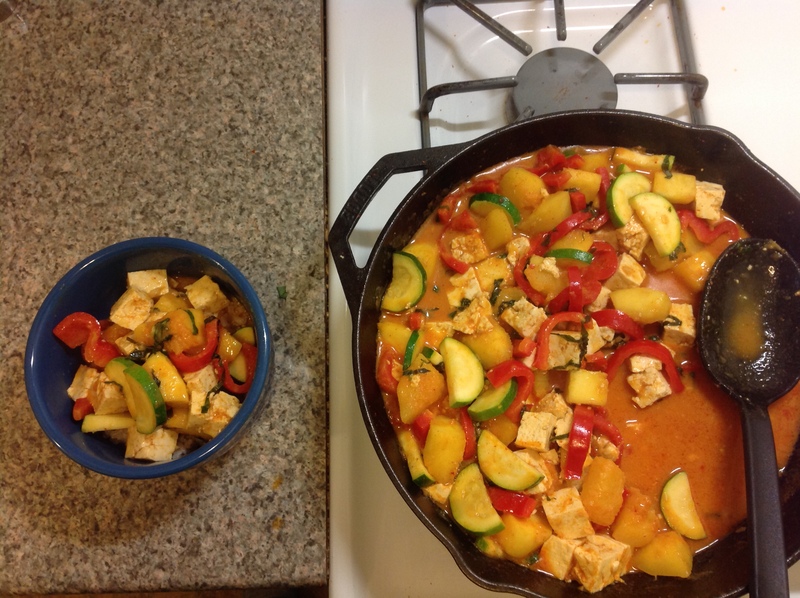 Change the vegetables, switch the tofu out for chicken, swap soy sauce for the fish sauce. Or better yet don’t even follow the recipe! Start by prepping your vegetables. Peel and remove the seeds from the squash and dice into 1-inch cubes, cut the zucchini into half moons, and dice the pepper as small or big as you like, keeping the pieces even so they cook at the same rate. 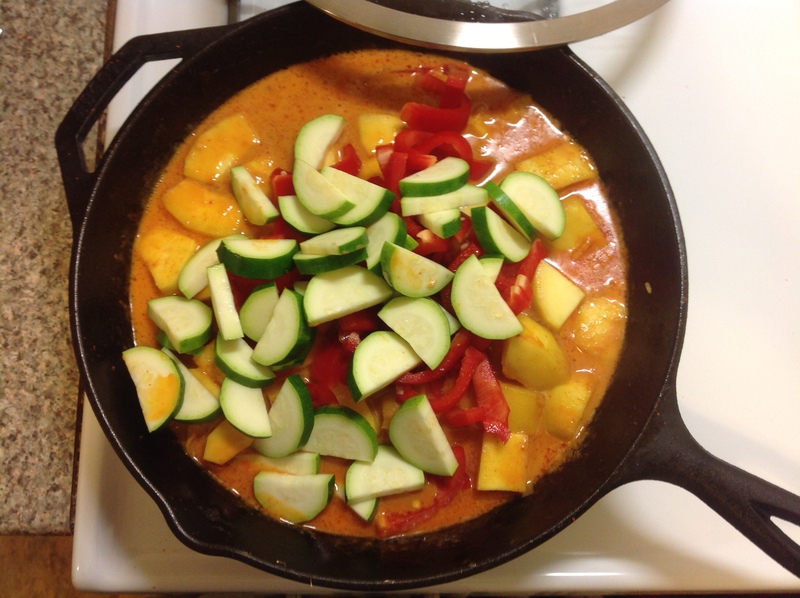 In a large saucepan or cast iron skillet dump your first six ingredients – coconut milk through the squash. Over medium heat bring to a gentle simmer, lower the heat and cover the pan. Depending on how well done you like your vegetables you can add the zucchini and pepper and at this point too. 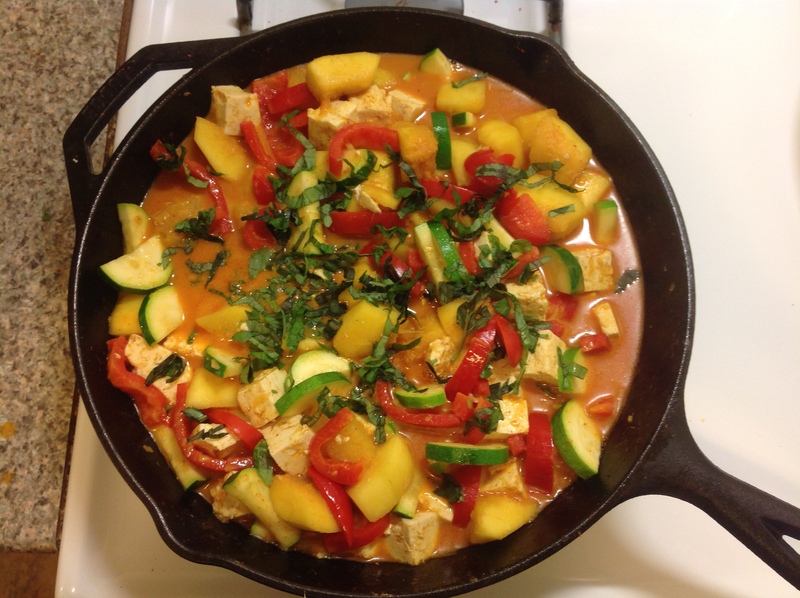 Or you can let the squash get a head start and add the other vegetables after about 10 minutes of cooking. Drain your tofu and gently squeeze to remove excess liquid. Dice and add to pan with the other vegetables. Simmer, covered on low for another 10-15 minutes or until the tofu is warmed through and the vegetables reach your preferred doneness level. Garnish with a splash of lime juice and fresh basil. Serve over rice. If you are making this with chicken, you can add the chicken pieces in raw – just make sure to let it cook long enough to cook the chicken all the way. With shrimp add 3-4 minutes toward the end as you don’t want the shrimp to get too tough. With all the snow falling this time of year (in Boston especially), I find myself leaning toward the heavy, filling foods: meaty, hearty, stick-to-your-ribs kind of food. Winter time means you load up on the food that keeps you warm and satisfied. You bust out the crock pot and get your oven cranking so that you can make all of the thick stews and freshly baked breads needed to fill you up. 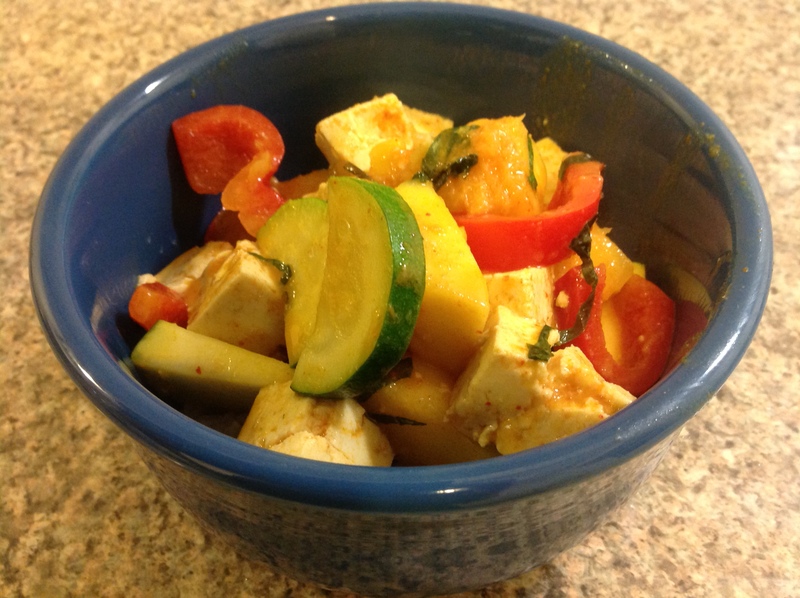 I love a big pot of Cincinnati Chili or Beef Stew, but after a few days, I find myself wanting to balance out my heavy meat consumption with something a little lighter, but this time of year most veggies seem scarce and a summer salad hardly seems appealing. So how do I lighten things up? In general I try to eat a balanced diet and as wide a variety of all food groups as possible. Nonetheless I still struggle on a daily basis with what I should be eating for my diet in general. More protein? More veggies? Less fat? More fat? The answer I give myself is constantly changing. After reading this National Geographic article on the evolution of diet, though no more enlightened on the issue of what to eat, I realized the wide diversity of diets that are sustaining people across this planet. I began to think about how grateful I am not to have to hunt for or gather my food. I do have to lug my groceries back from the store, (less than a mile away, though in this snow it’s more of a chore) but I’m not afraid of not having enough to eat because I have to catch dinner. In this country we are privileged to have so many choices of what to eat. Without this choice I would never be asking myself what should I eat. Perhaps the ability to choose itself is something to appreciate. So I’m getting my veggies in today via sushi. 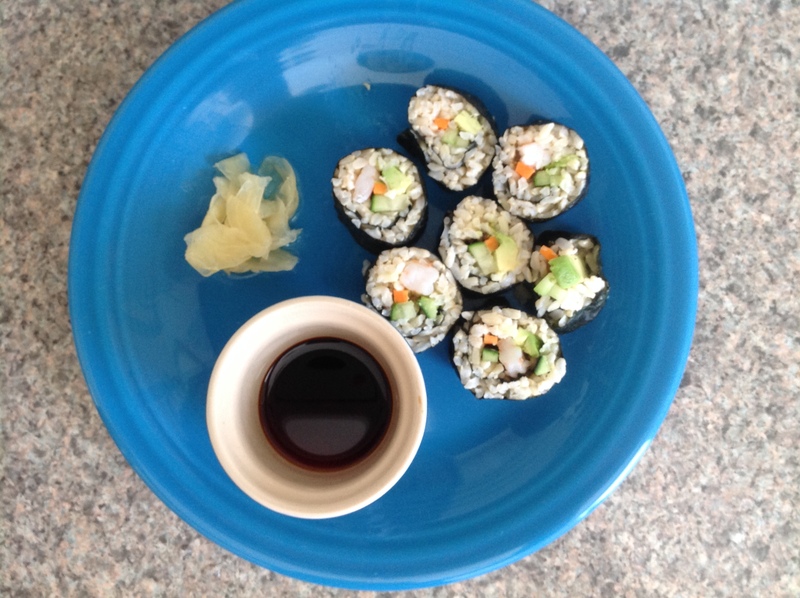 Admittedly most of the veggies are eaten outside of the sushi, but hey I ate them so that counts for something. 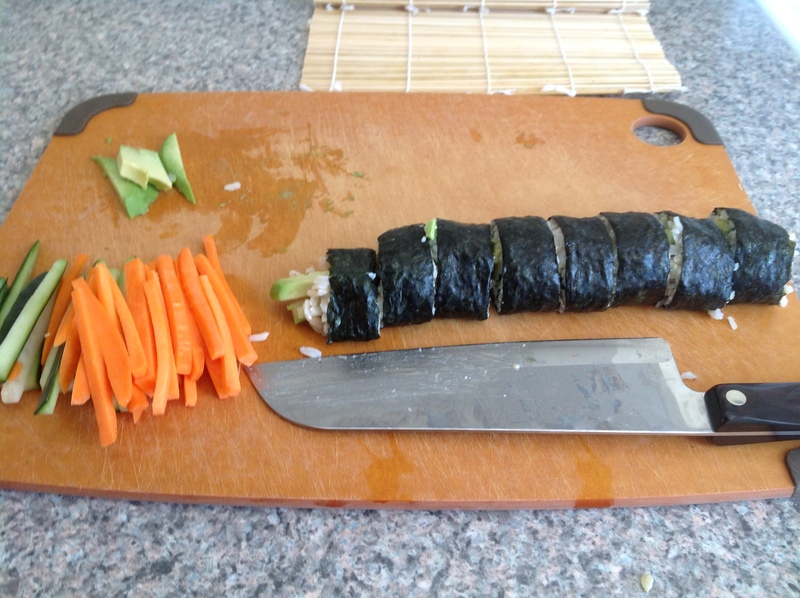 If you make your own sushi, you’ll realize how few veggies really fit inside. After college when I lived in Ohio for a short time before moving to Boston, I enjoyed volunteering at a small cooking school associated with an upscale grocery store. In exchange for helping to set up and clean up I got to watch each chef in action and keep the recipes from the class. It was a great gig and though it could be exhausting, it gave me a good introduction into the professional culinary world. I loved the nights I volunteered at a cooking class. In one of the many classes that I went to we learned to make sushi. 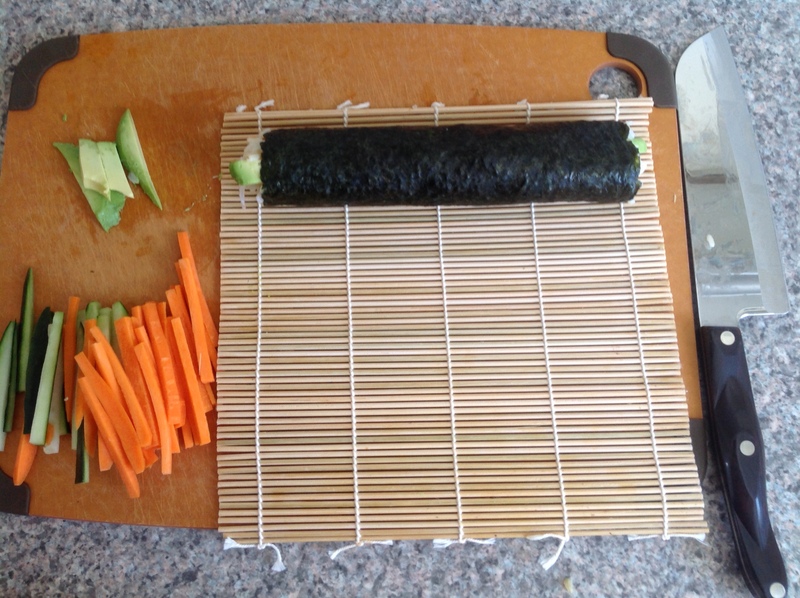 Of course after going to the class and seeing how relatively do-able it is to make your own sushi, I got suckered in to buying the sushi rolling bamboo mats, which I use every now and then (including for this week’s school cooking club!). I learned that just learning how to cook the rice correctly takes years of training in Japan! Sushi making is definitely a skill. 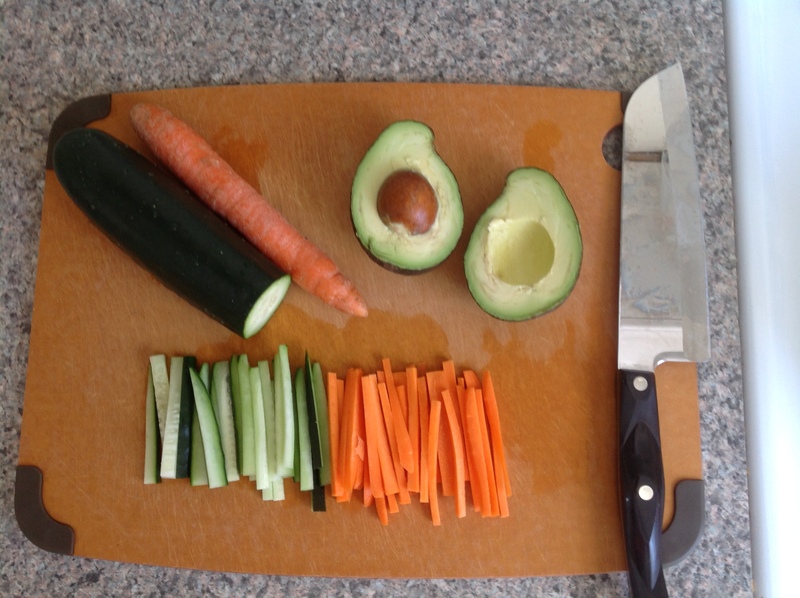 I filled mine today with carrots, cucumber, avocado, and shrimp. 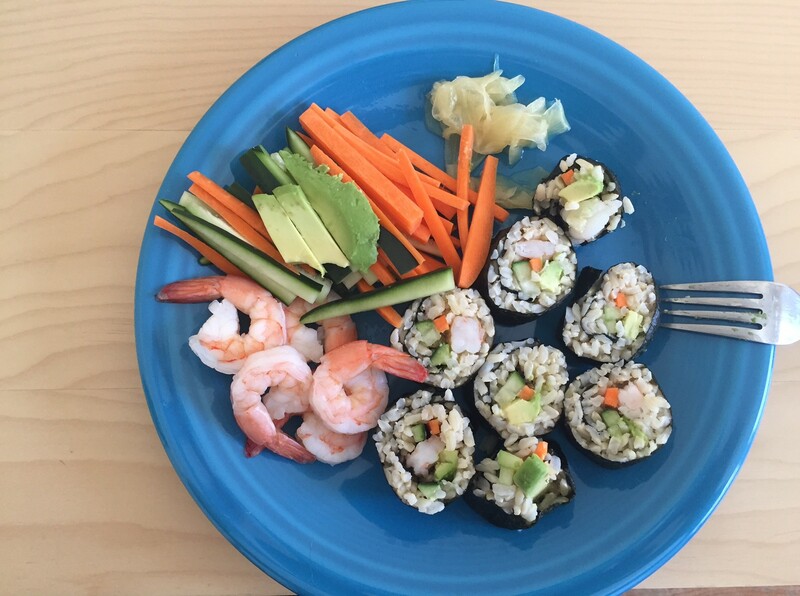 I used brown rice because that’s what I had on hand, but there is a special type of sushi rice available that has the right stickiness for sushi. Served with thin slivers of pickled ginger, soy sauce, and the extra fillings on this side, this made for a tasty way to eat my veggies! It makes for a nice break from the usual heavy winter fare. It’s hard to write a real recipe for sushi as technique is easiest demonstrated rather than described and fillings can be whatever you want. One way to make your sushi extra… er sushi-flavored (?) 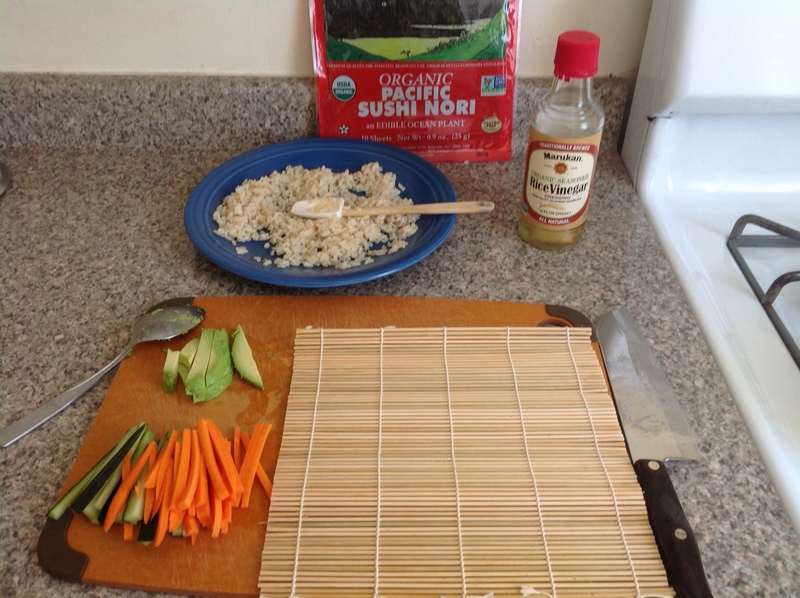 is to make sushi rice. After you cook your rice, whether it is actual sushi rice or just short grain brown rice, mix in a mixture of rice wine vinegar, sugar and salt. You’ll want about 1 teaspoon of rice vinegar, 1/2 teaspoon of sugar, and an 1/8 teaspoon of salt per half cup of uncooked rice (though you’ll add this mixture after cooking). Stir the vinegar, sugar, and salt together to dissolve the mixture. 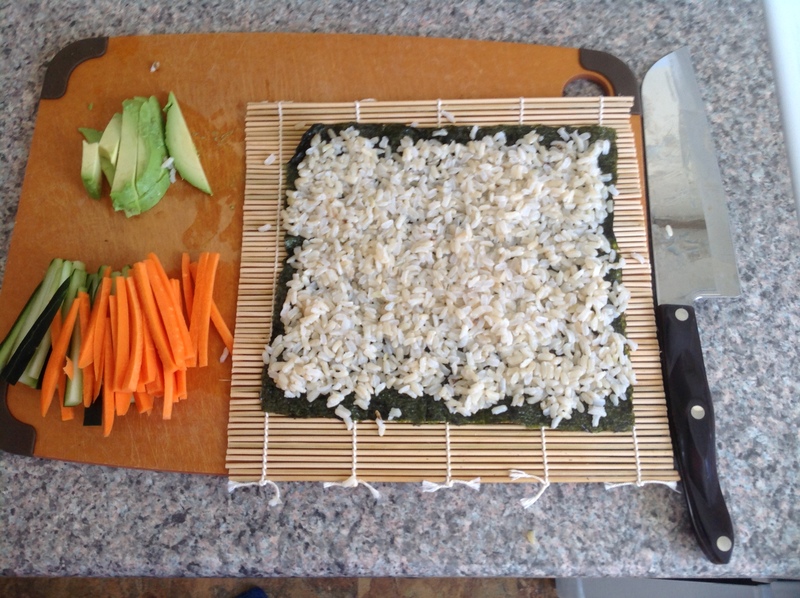 When the rice is done, spread it out on a plate or a sheet pan to help it cool and let out some of the moisture. Drizzle in some of your vinegar mixture, carefully folding it into the rice. 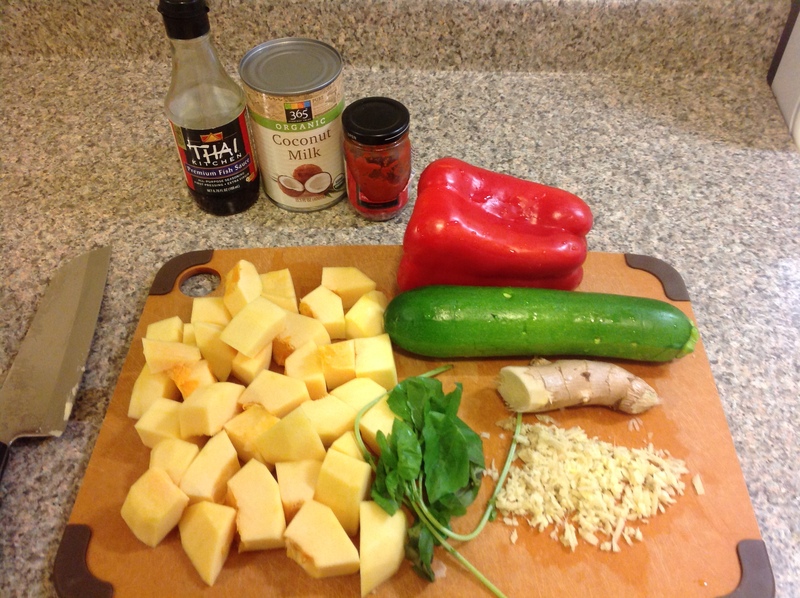 Taste and add more as desired for flavor. Be careful not to add too much as you want your rice to be somewhat sticky, not wet. 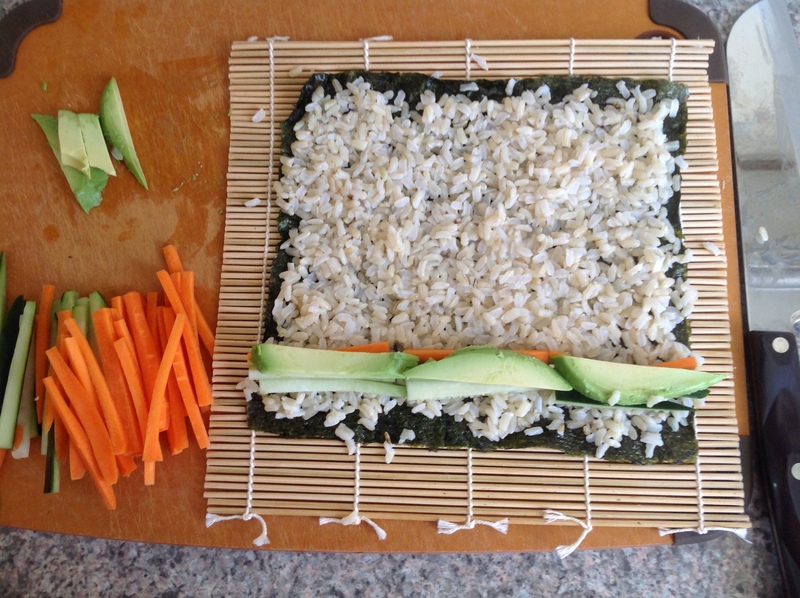 Use your sushi rice to spread on Nori (seaweed) and top with fillings as suggested below for your sushi. Enjoy!